CAPE CANAVERAL, Fla. -- SpaceX suspects a 2-foot steel strut snapped inside its rocket and led to last month's launch accident. The company's founder and chief executive, Elon Musk, said Monday that hundreds of these struts had flown many times before without any problem. But two minutes into the June 28 launch, one of the struts in the second stage of the unmanned Falcon 9 rocket likely broke loose. The strut was holding down a high-pressure helium bottle in the liquid oxygen tank. If the strut snapped as engineers believe, according to Musk, the bottle would have shot to the top of the tank at high speed, dooming the rocket and its Dragon supply ship for the International Space Station. It was the third lost shipment for the orbiting lab in eight months. 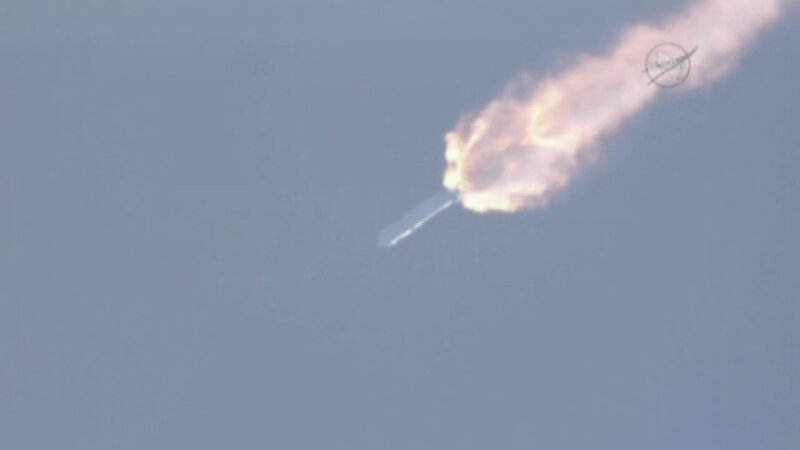 Russia has resumed deliveries, while SpaceX and Orbital Sciences Corp., NASA's contracted suppliers, remain grounded. Musk stressed at a news conference that these are preliminary results. He also noted that the Dragon could have saved itself, via parachutes, if the right software had been on board. He declined to say when the California-based company might attempt another launch, noting the strut issue should push out the flights by maybe just a few months. "But we want to make sure that we've turned over every piece of data," Musk said, and make certain that nothing else is lurking out there. "To some degree, I think the company as a whole became maybe a little bit complacent over the course of seven years and ... essentially 20 successes in a row," he told reporters. Preflight photos showed all of the struts to be fine. But after the failed launch, a few struts on the ground were found to be weak, and that's the basis for SpaceX's initial assessment of the accident, Musk told reporters. The findings tend to jive with the over-pressurization of the second stage detected in the immediate aftermath of the accident. The rocket's first stage still was operating fine and had yet to separate. The struts are 2 feet long and about an inch thick at its thickest. SpaceX does not make the struts, a supplier does. From now on, each one will be individually checked, Musk said, and the design and material may be altered for added strength. The struts are designed to handle 10,000 pounds of force at liftoff; at the time of the accident, they would have been seeing only 2,000 pounds of force. A failure at such a low threshold is "pretty crazy," Musk said. The strut most likely failed at its attachment point, he added. Another change: Beginning with its next launch, each Dragon cargo carrier will be equipped with software for deploying its parachutes. The Dragon destroyed last month, along with an estimated $110 million worth of NASA equipment and supplies, would have survived if the parachutes normally used for descent at mission's end could have been activated, Musk said. Future Dragon crew capsules, still a couple years away from launching with astronauts, already have a means for emergency escape. Musk pointed out that his company had about 500 employees at the time of the last SpaceX rocket failure seven years ago; now it has 4,000. Most employees consequently had only seen success - until June 28 - which means they might not have feared failure quite as much, he said. Musk, who also runs the Tesla electric car company, said before every launch, he would send out a companywide email encouraging workers to let him know if there is any possible reason for delaying the flight. He realizes some thought he was being paranoid. Indeed, there was "an extreme level of paranoia in the whole team" during the early days of SpaceX's rocket building with the Falcon 1, he said. "But I think now everyone at the company appreciates just how difficult it is to get rockets to orbit successfully," he said, "and I think we'll be stronger for it." 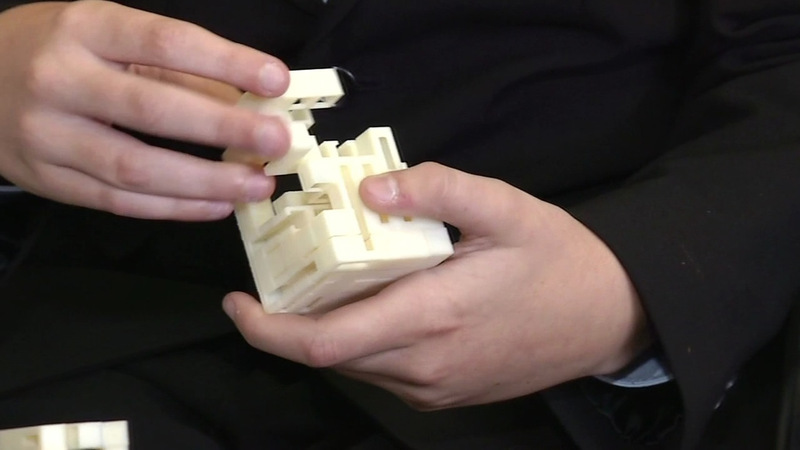 Objects designed by students in San Jose will soon be reproduced in space thanks to a 3-D printer.